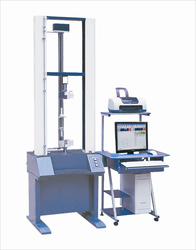 Computerized Tensile Testing Machine is based on the CRE principle. It is floor mounted. It has a unique customer friendly computer interface. 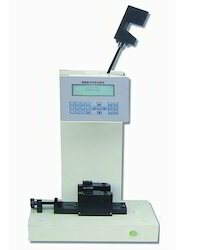 We are dedicatedly engaged in offering a commendable range of Digital Tensile Testing Machine. Besides being manufactured from high-grade raw material and latest technology, the offered range is inspected properly by our expert professionals. Owing to features like durability and sturdiness, the offered testing machines are exceptionally valued by our precious clients. The entire range is available with us in a multitude of sizes, designs and other related specifications at affordable price. Being a well-established organization, we bring forth an excellent assortment of Digital Izod Charpy Impact Tester. Our offered range is widely appreciated by our prestigious clients for their precise design and durability. The offered range can also be availed in various sizes, designs and other related specifications. Our provided testers are manufactured by a team of our adept professionals utilizing quality approved material and advanced technology. Looking for Plastic Testing Equipment ?